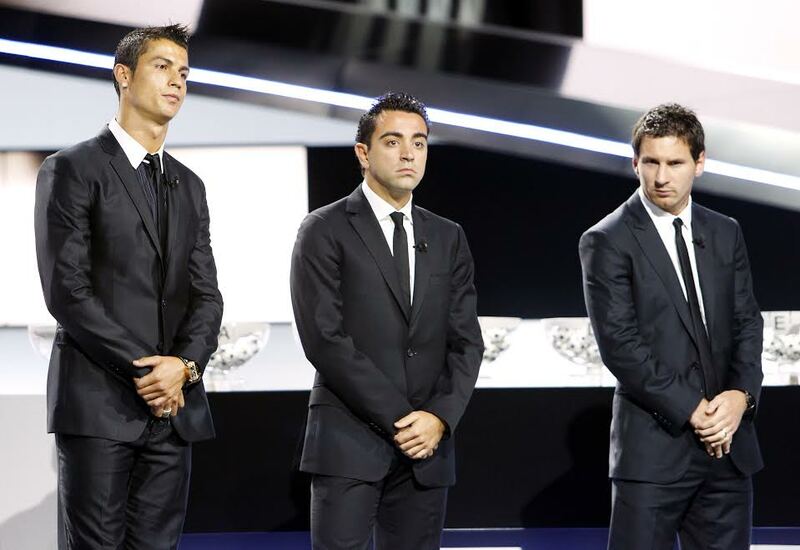 Bad blood has risen between star footballers C.Ronaldo and mid field wizard Xavi of Barca. Cristiano Ronaldo blasted Barcelona legend Xavi Hernandez after the former Barcelona player said the Real Madrid/Portugal star was unlucky to be playing in the same generation as Lionel Messi. A thought that has clearly been on many people's minds for some time now. He unleashed a scathing response hardly Ideal for a role model of his status. On Saturday evening, Ronaldo who scored on his Madrid comeback after months of being injured stunningly reacted to the former Barcelona captain's comments. 'The most searched for player on the Internet is me. Those that want to appear on front covers [of newspapers] or promote things speak about me. Stated just what he felt he deserved from his club. Ronaldo also claimed that if he were Florentino Perez, Real Madrid's president, he would issue himself with a new mega-deal as his current deal is set to end in 2018. Seems like Xavi touched a nerve. But at least we know what's on Ronaldo's mind now.